Another week into the Las Vegas summer and more prize pools outside the Rio are building into seven-figure territory. Last week’s individual performances of Antoine Saout and Chris Moorman were replaced by big fields and huge numbers. The Mid-States Poker Tour $1,100 $3.5 million guaranteed event set a record for entries in a tournament at The Venetian. A total of 4,411 entries took part in the tournament to compete for a prize pool of $4.3 million. 451 players made the money and a few notable names found themselves deep to play for the $548,341 first-place prize. Two-time WPT Season XVI final tablist Derek Wolters placed eight to collect $64,511. Former WSOP final tablist Owen Crowe was the last Canadian standing and earned $150,525 for sixth. David Levine emerged victoriously and earned the over half-million prize for first. Levine’s largest tournament cash before the MSTP was $16,910 for an event at the 2018 L.A. Poker Classic. Other relevant players to reach the top-50 include Iaron Lightbourne (12th), Nick Pupillo (29th), Joe Elpayaa (30th), and Mike Del Vecchio (32nd). The second MSPT seven-figure event is currently on Day 2 at The Venetian. 2,779 runners crushed the $1 million guarantee for the $600 entry to put a $1.425 million pot up for grabs. Three more events are left on the MSPT/Venetian schedule with the $5,000 $1 million guarantee up next on Friday, June 15. In the final days before the first multi-day event at the Wynn Summer Classic, a few well-regarded players almost made it to the finish line in a single day of work. 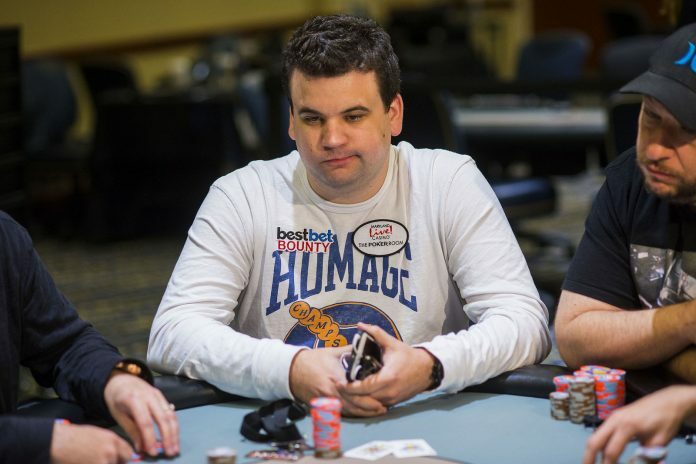 Christian Harder formally got on the board by placing third in the $1,100 $200,000 guarantee. Harder collected $29,876 with Andrew Hills winning the event and $72,799. A few days later, Greg Raymer took second in the $550 Seniors Event. Raymer withdrew $34,416 from the prize pool and Nicole Honour earned first place along with $52,718. The first multi-day event kicks off on June 14 when the first of two $1,100 $1 million guarantee opens up. Three starting flights are available for the tournament which is expected to draw close to 2,000 runners. The choice between events can be a conflict at times and that was the case for bracelet winner Michael Wang. Stuck between Planet Hollywood and the Rio, Wang decided to defend his title in the $600 $1 million guaranteed clash he won in 2017. Decision today between playing the WSOP 5k I won a few years ago and the PH 600 1M gtd I won last year. Went for the repeat equity and found a bag ITM with 193.5k. Finish the day getting my dinner paid for by a random stranger. How good do I run? In a field of 2,238, Wang placed seventh for $29,909 and is sure to be back in the final table mix again this summer. Other final tablists included Marshall White and Marvin Rettenmaier. The 2017 version featured a field of 2,721 and Wang’s share for first place was $205,165.